As the chemistry of chocolate is a topic that’s been pretty much exhausted on the site (see here, here, here, here, and here), for the Easter weekend we’re instead homing in on the ‘egg’ side of Easter Eggs. 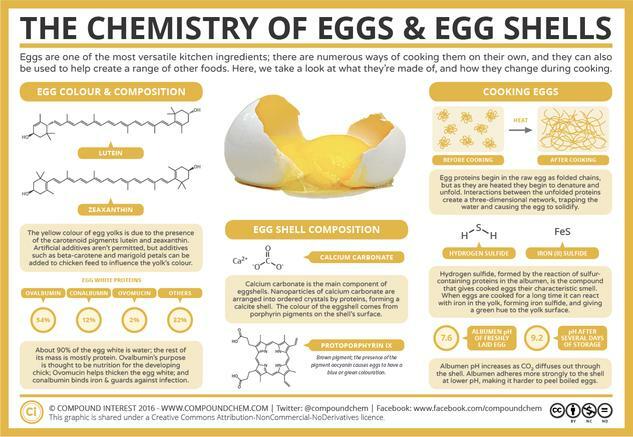 For such a simple staple of the kitchen, the chemistry of eggs is surprisingly complex. 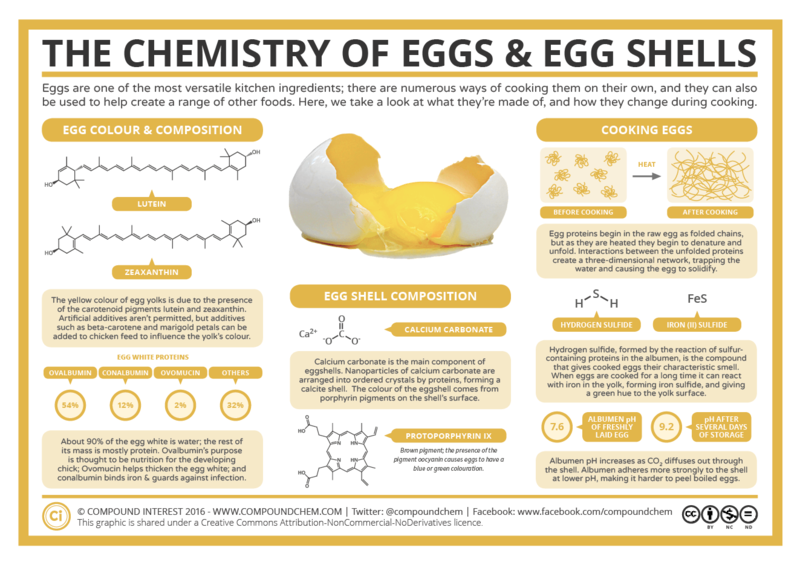 Here we take a brief look at their composition, and also at some chemistry tips that can help with cooking them!